ISLAMABAD: (March 22, 2019): The 14th All Pakistan HEC Inter-University Women Cricket Championship kicked off at Shalimar Cricket Ground, Islamabad on Friday. Teams of 16 universities from across Pakistan are participating in this Championship. Kinnaird College for Women was the winner of the previous championship. 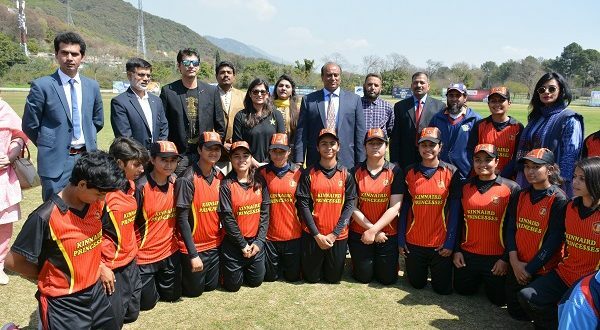 The opening ceremony of the Championship was attended by former test cricketer and current Sr. General Manager Women Cricket, Pakistan Cricket Board (PCB), Mr. Shahid Aslam, renowned cricketers Ms. Sana Mir and Mr. Muhammad Waseem. Speaking on the occasion, Mr. Aslam thanked HEC for organising Inter-University Women Cricket Championship. He said that at PCB we are trying to make things better for female players. He credited Kinnaird University, Lahore and Lahore College for Women University in building Pakistan Women Cricket Team. Mr. Waseem said that it is good to see women coming forward in sports as well like all other fields of life. He maintained that number of women cricketers is increasing in Pakistan and women cricketers are also rising at international level. He advised female players to consider professions like coaching and umpiring while finalising their career paths. The final match of the Championship will be played on March 26, 2019.